here is why i’m geeking out about vbs! You know, VBS is always a fun time, and we have done some great ones with our lhkidz… but this year… I can’t even explain to you how excited I’m getting. It’s going to be amazing. We really love missions at long hollow. There are constantly trips heading around the world to share the truth of Jesus. There are also contant local missions going on. We take our job to spread the gospel to the world very seriously. To that end… we have been planning an amazing week for the kids that are going to be with us for vbs. I can’t quit talking about it (apologies to those who cross my path anytime soon). We are partnering with the @longhollowgo team to bring the stories and realities that they face when they GO to our kids. Our world tour is going to take us to the orphanages and opportunities that we are participating all over the world. our message to the world, GOD LOVES YOU, so much that he sent his son for you. After talking to Erica Ho this week, I got even more excited, and I realized something. I’ve been writing VBS lessons for our missions teams for almost 1.5 years. The team wanted to be strategic about what we are teaching kids, and intentional about not repeating the same old stories. The lessons they have been getting are geared toward their circumstances (which are much different than american kids – for example, you can’t use a lot of examples of parents and siblings, traditional schools, and the other stuff that we normally use to teach our kids), and they have become discipleship lessons, not only evangelism. Of course we share the need for salvation, we are always talking about that, but we get to go deeper. These are our kids. anyway… every team that goes to haiti or uganda, and even our student mission trips teaches a VBS experience. with that being said… I’m going to be recruiting and pushing our long hollow go team members to join us for VBS here at home. Let’s call it on-the-job training. You have a mission field every day. Come serve in it. If you haven’t participated in VBS before, now is the time. Learn how to lead kids to Christ. Learn how to teach the truths of the Bible in clear terms that anyone could understand. Participate in the miracles God is doing here at home, and take the lessons that you learn out into the world. That’s what our kids are going to be learning at this years GOD LOVES YOU WORLD TOUR VBS EXPERIENCE. And I just can’t wait!! Trust me when I tell you the lessons are going to change your life. The opportunity to see the lost be found, and then watch them grow… well, that’s my daily blessing. I don’t want anyone to miss it. Now, if you don’t live here and go to Long Hollow, you are not off the hook. VBS is your local mission trip. Have you Signed yourself up for this mission trip at your church? Don’t wait. 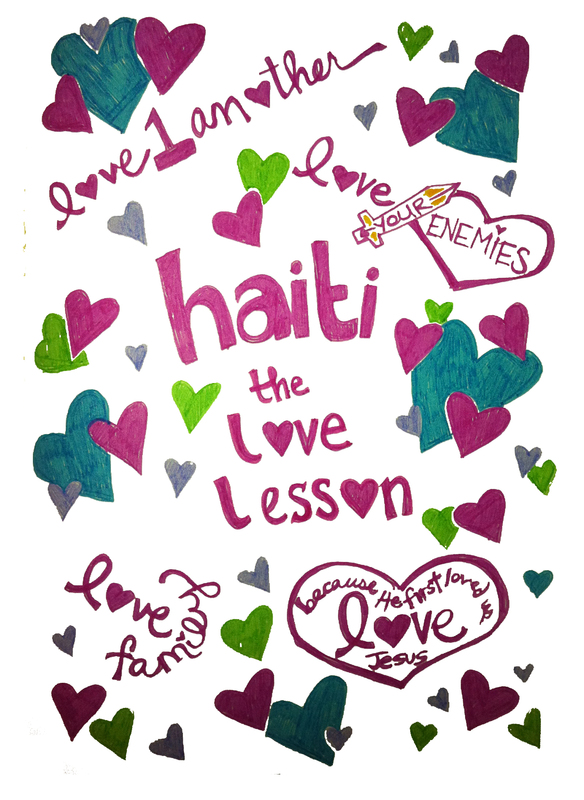 long hollow has an orphanage in jeremie, haiti. we send teams almost monthly to minister to everyone involved... another team is leaving friday. they will share these truths. today i got to write some lessons that will be on their way to jeremie, haiti this friday. lest you think this has not been thought out or enough prep time… i want you to know we have been strategically planning the lessons we want them to have for months. don’t misunderstand me… those are crucial stories, and they do come up from time to time, but we wanted to make sure they have a complete framework. we have a list of them. 1 – We are Family. we wanted them to understand that they are part of God’s family the minute they answer his knocking. they are full heirs. we also wanted them to understand that we consider them part of our long hollow family. 2. next was THE ULTIMATE JOURNEY. we walked through the Roman Road and the path to understanding our place in Christ and what he did to preserve our place in heaven. 3.Name Above all Names. This lesson happened during the Christmas season so they learned the Christmas story and the significance of some of the names of God, as they related to that story. They received many different gifts, each with a spiritual application. 4.I am Fearfully and Wonderfully Made. We explored Psalm 139 and celebrated how much God loves us and made us unique. We explained that he knows everything about them… even if they don’t know their birthdate or their history is cloudy… it’s not a mystery to God. He knows everything and He loves them. So… this cover is for the next lesson in the series. This time we are focusing on love. It appears that, like all humans, our orphans struggle with loving one another. We want to help them understand that Christ-followers are expected to love others because of his great love for us. We can only share his story and the salvation he offers if we have love for people. If someone doesn’t trust you… they won’t trust your Jesus. think about this for a second: anyone that wants to question the existence of God need only consider that there are orphans that now have a home, meals and are learning about this God that loves them. He preserved them and they have been given access to all that his Kingdom has to offer. They were hopeless and abandoned… and now they have hope, they have people caring for them, and they have us praying for them. weren’t we all just the same? weren’t we, too, orphans before we accepted his legacy of eternity?